This is the fifth part in a series of articles on Australian tourism in line with the current slogan, "Where the Bloody Hell Are You?" a campaign which has been gaining popularity among travel buffs who simply want an authentic Aussie getaway.— Ed. Can a large-scale natural disaster ever destroy an astounding natural beauty beyond hope of complete restoration? When a bushfire razed about 130,000 hectares (out of 167,000 hectares) comprising the Grampian National Park early this year, Victoria must have lost one of its most enduring natural treasures. Macabre sights of charred and fallen trees, blocked trails and tracks, and ashes carpeting the ground are the things left to see. The scale of devastation boggles the mind. Exciting bushwalking, camping, or rock-climbing seem to have only dwell in memories; and staying in the Grampians after the fire could be like a journey through a spooky wasteland. Yet, after sometime, the Grampians can prove its amazing power to regenerate. This natural park is coming back to life— rising from the ashes to display its unsurpassed natural wonders. 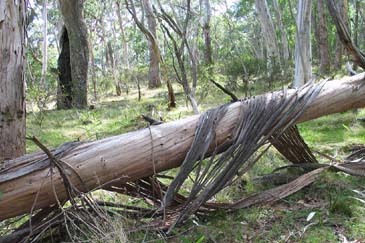 The Grampians National Park Management re-opened the park in Easter, barely two months after the disaster. Since then, it has been all set to bring back all the tourists to behold amazing developments. And why not? 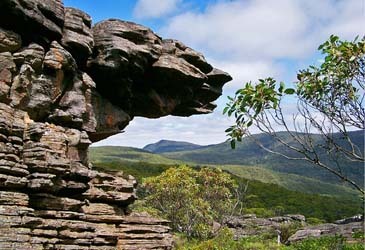 The Grampians, declared as national park in 1984, has been a home to about 1,000 plant species as well as various kinds of mammal and marsupial animals. The park, likewise, generated tourism receipts at an estimated total of $260,000 annually. 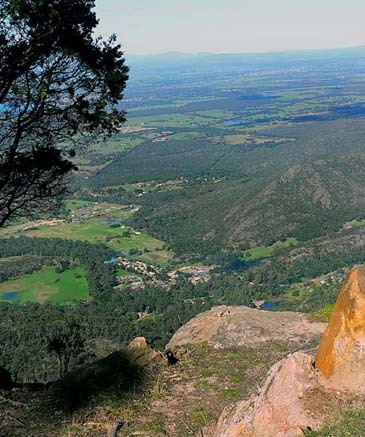 Simply put, the Grampians remains to be one of the most valuable natural attractions in the region. Just in time of spring, nature shows its indomitable power to heal and regenerate. The Grampians is springing. Bushes and vines are sprouting; and greens are everywhere against the blackened tree barks. Animals that fled during the fire are also coming back. 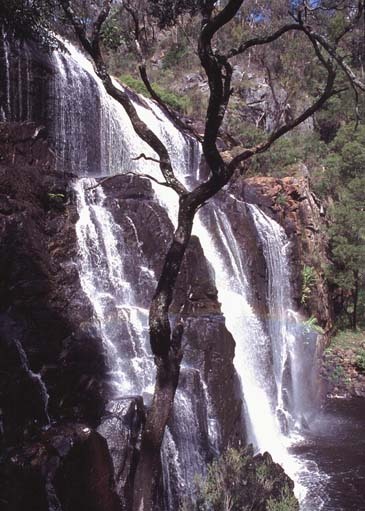 The Australian Pacific Touring is one of the major operators supporting Grampians tourism. It offers itineraries which take guests to breath-taking spots. Halls Gap; the lookouts of Boroka, Reed, and Balconies; Mc Kenzie Falls; and the Wartook Valley— to name a just few, are included in a day's tour. With more tracks re-opening, campers who would up for a week's escapade can now venture into the Grampians. Individual and group backpackers are also beckoned to come away. Journeying toward the destination is half the fun itself, as the old cliché goes. About 299 km west of Melbourne, our coach took the route to Ballarat, a historic town of the gold rush era way back the 1850's. Adjacent to Ballarat are the towns of Ararat and Stawell exemplifying a peaceful and rustic environment. After Ballarat, both sides of the freeway provide sights of sheep grazing in a Ararat's vast pastureland— as far as the eyes can see. Our guide, Frank, said the area is the source of sheep exports in the region. In another area lies the grazing ground for Angus cattle. Ararat's economy is based on farming. Fine wool is the major agricultural product, along with wine and grape production. Not a replica of the Yarra Valley, but there are beautiful vineyards on the plains. With the shire's proximity to the Grampians Ranges, tourism industry here has also been boosted in recent years. Stawell, on the other hand, used to be a gold mining town like Ballarat. A small town with about 8,000 people, it is a service centre to the surrounding district with industries such as brick-production, goldmining, fabric upholstery, as well as traditional grazing and farming. 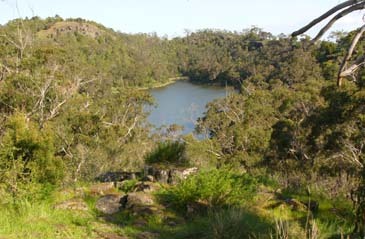 Historically, the Mukjarawaint Aborigines lived in the area prior to white settlement. The first European to pass through the town was explorer Thomas Mitchell in 1836. Our guide briefed his guests that Mitchell was actually the first to climb Grampians' highest peak, Mt. William. Our guide reminded us of our itinerary: Lunch at Halls Gap before proceeding to the outlooks of Boroka, Reed, and Balconies before trekking down to the McKenzie Falls. We'll be touring around the Wartook Valley afterwards to see the mobs of kangaroos roaming in the wild. We stopped over at Halls Gap for lunch which is nestled at the foot of the Grampians, the heart of the national park. There are clusters of restaurants, souvenir shops, and accommodation facilities here. 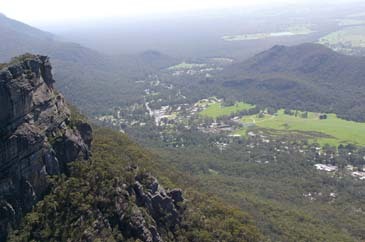 The Halls Gap is a popular destination for bushwalking, abseiling, fishing, and canoeing. Few kilometers away, there are scenic drives, lookouts, and waterfalls. It was minutes past one o'clock when we boarded the coach back ready to ascend to the Grampians. Our guide recounted in memory how the Grampians was formed millions of years ago as a result of earth's volcanic activities. Few minutes later, he stopped the coach by the cliff for guests to see the Elephant's Hide— a rocky mountain resembling an elephant. We took some photographs while he explained dramatic geological formations which eventually pushed the mountain to rise high above sea level long, long time ago. As we climbed up further and got deeper into the forest, we came to get a better look at the atrocity done by the bushfire. Yet, amazingly, verdant sprouts are everywhere. New vegetation is re-emerging with various plant species coming up with more resilient character capable of adapting to unpredictable changes. Frank noted that the new eucalyptus leaves have tougher texture to adapt to harsh and extreme weather conditions—too hot in summer and too cold in winter, for instance. It was all of a sudden when the weather turned windy with dark clouds hovering above. Traces of bushfire among the trees have started to loom eerie. But we must go to the Reed Lookout. Against the strong wind blowing, we took a look at stunning views of the Victoria Valley, Lake Wartook, and the Mt Difficult Range. The Boroka lookout can be seen through a short walk. This is a spot to view the spectacular Wonderland and Mt William Ranges. Mt William rises at 1,167 metres above sea level, the highest point in the park and provides great 360-degree views of mountain ranges and open plains. Our coach took us further to the other side of the park to see the Balconies. About 1km walk is needed to reach the lookout. Trekking our way where the goblins and elves seem to possess the territory, various kinds of plants have re-emerged. Some shallow streams of water are flowing on the ground to provide irrigation to the wasteland where botanicals are springing up. The Balconies is said to have one of the region's greatest attractions. The Balconies is two sandstone rocks jutting from a cliff face. Also known as the Jaws of Death, these sheer formations are a great place to take in panoramic views to the Victoria Valley. Frank thought he needed to re-energise us before trekking down to McKenzie Falls. He dropped us on a clearing in the forest few kilometers away to taste his Billy tea and crackers with a spread of Vegemite. The sun shone brightly over the canopy of trees as if guiding us to trek down by the waterfalls. The cascading waters measure about 25 meters high and 20 meters wide. The park provides steep and winding descending steps to the bottom of the falls— pitched against gigantic and craggy cliffs. The falls is a reminiscent of Mt. Seoraksan in Korea, loved by people from all walks of life especially in spring and fall where colourful hues are spectacularly painted on the scene. Yet, one Korean tourist simply commented, perhaps jokingly, "McKenzie falls is more beautiful!" It could be a compliment to the host yet you would agree. McKenzie Falls is the place where fairies love to live. About 50 visitors, more or less, ascended back to the stairway. It's a great workout, said one, as we sweated out way up to the top where our coach was waiting. Passing through the site of the Wartook Valley, we had to see the mobs of kangaroos in the wild. Seeing a kangaroo roaming freely in the wild could be more interesting than petting the tamed wildlife in a zoo. Kangaroos here could be dangerous. They tear down fences and cross the highway, and would feast on farmer's crops if they want to. We saw huge number of kangaroo mobs on a distance from both sides of the road. There were also four near the road getting ready to cross over. The coach moved forward— slowly— but as soon as they saw us, they backed off and hopped away. The plains rise to meet the sky providing a backdrop to the kangaroos standing on the horizon. We were leaving the Grampians which been the farthest trip so far in Victoria. The coach turned to the freeway heading back for Stawell and we will be stopping over at Ararat to have our sumptuous dinner. It will take us about three more hours before we see the flickering night lights of Melbourne. 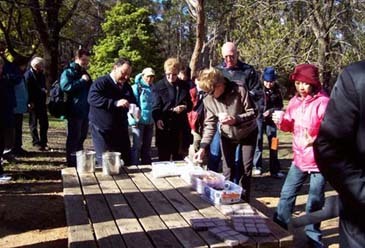 Until then, memories of Grampians continue to enthrall guests of such a lovely and fun-filled day.